Now that Fall has arrived I’ve been in the mood for soup but not just any soup. 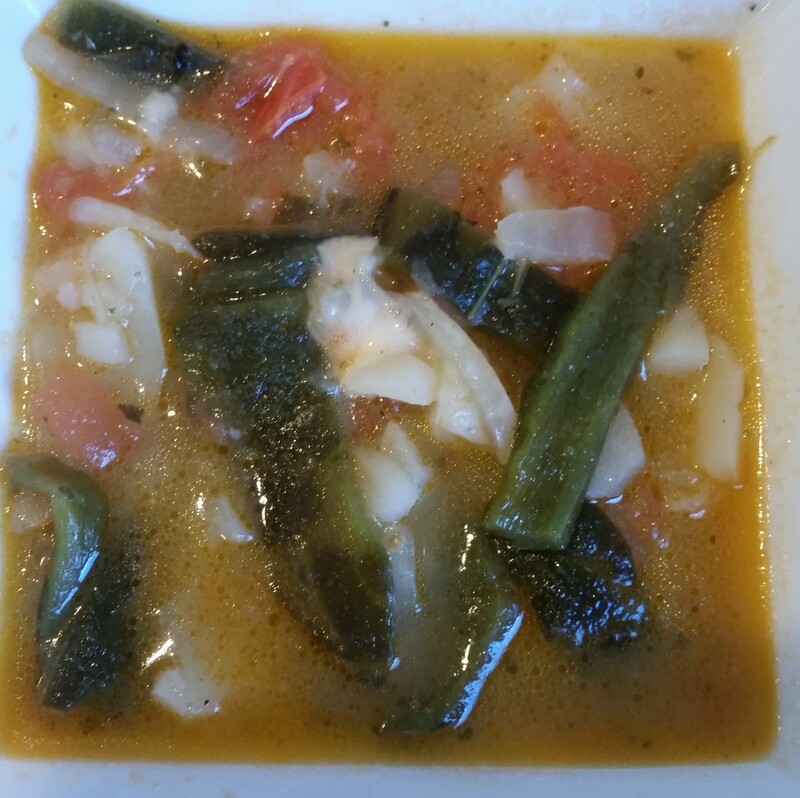 I’ve been craving sopa de Rajas in a tomato broth smothered in cheese. I’ve never had this combination before so I was worried because the last time I had an urge for something I had never had I later found out I was pregnant! Last time around it was Brussels sprouts. Last week, I made my craving a reality. I don’t remember the measurements exactly because I was making it up as I went, but I think it went something like this! Skillet- Sorry, I don’t know the English word but get your comal out! Wash and roast your chiles at high heat and turn them over every few minutes. Once they are blackened and soft remove them and place them inside a plastic bag. While the chiles are roasting cut up tomatoes into long or round slices; do the same with the onions. Set aside. Wash, peel and cut your potatoes into long slices (as if you are making fries). Set aside. Remove the chiles from the bag and peel. Make sure to cut the at the top so that seeds don’t spread. Cut into long slices and make sure all of the seeds are removed. Set aside. Pour oil into pan and add the onion, tomatoes and salt and pepper to taste. Fry until the tomatoes have turned into a paste. Add the potatoes and fry for a minute or so and then add the chiles. Add water- I can’t remember how much I added but it was about 2-3 inches above all the veggies. Add a spoon or cube of chicken bouillon- I always use Knorr Suiza. Add cheese and cover I used mozzarella because that’s all I had but it stuck to the spoon and plate. Mexican queso fresco is best. The soup will be ready about 15 minutes after the heat has been reduced. P.S I’m not pregnant! Phew!!! I LOVE your soup!!! Made it AGAIN today. Hubby is gonna be one happy man when he gets home.